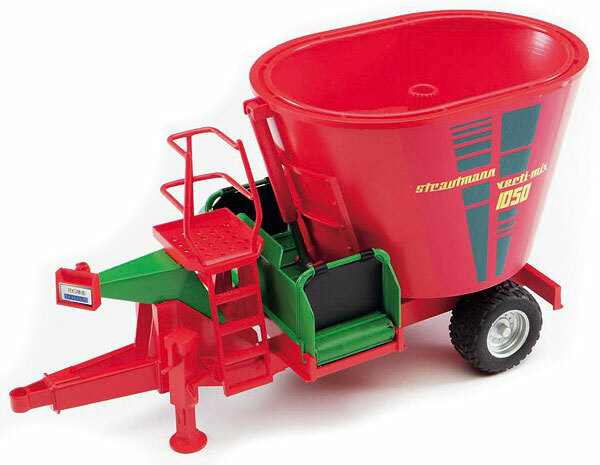 Strautmann Verti-Mix 1050 Fodder Mixer - This Fodder Mixer Strautmann Verti-Mix 1050 has hand-operated rotating cutters mounted on the auger in the middle of the container (plastic), it has an opening slide trap on the front outside of the container. The Fodder Mixer has a real working cross belt, and a telescopic central stand. It also has sculptured tires.